SEAN: Dad, what does it mean to have a healthy self-image? 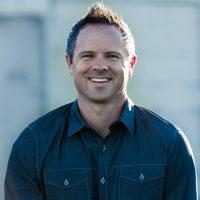 JOSH: I believe a healthy biblical self-image involves seeing yourself as God sees you—no more and no less. This means properly understanding the value you have as an image-bearer of God. SEAN: Why do you think many people fail to have a healthy self-image? JOSH: There are many reasons. First, many don’t understand what the Scriptures really teach about human value and self-image. Second, most people teach that self-image is wrong, that you shouldn’t think too highly of yourself and that humility is saying, “You’re nothing.” I do not believe this idea is biblical. Rather, humility involves knowing who you are, who made you who you are, and giving God the glory for it. Humility is positive, not negative. SEAN: What things can people do specifically to develop their own self-image into a more healthy view? JOSH: First, study the Scriptures. Romans 12:3 says, “Do not think more highly of yourself than you ought to think.” People often say that we shouldn’t think highly of ourselves and pastors often preach that we’re nothing. But this is not what the passage says! Rather, it says “Do not think more highly of yourself than you ought to think.” In other words, you ought to think highly of yourself. The question is, How highly? Well, Paul then says, “but think according to sound knowledge.” Sound knowledge means coming to a conclusion that the truest thing about you is what God says about you. Second, when you come up against an issue that affects the very way you perceive yourself, simply ask, “What does the Bible say about this?” If you engrain the belief that you are a valuable human being made in the image of God into your life, then no matter what situation comes up, you will have the confidence and belief to see yourself as a person of infinite dignity and worth. No one can take that away from you, unless you let him or her do it. SEAN: What advice do you have for parents, teachers, or youth workers to help young people develop a healthy self-image? JOSH: They key is explain a proper understanding of self-image from the Scriptures. Almost all healthy living starts with how we view ourselves. It starts with mental understanding, moves to the heart, and then behavior and emotions follow. So, have very clear teaching to your kids that they are created in the image of God with infinite value, dignity and worth. I explained that to you kids scores of times. It is also important to point out that value is not something that we create. Humans have derived value, which means it comes from our Creator regardless of age, gender, socioeconomic status or ability, and then is lived out in relationships.